All loft Apartments have been rented out at this time. please email us at graywoodproperties@gmail.com. The Lofts at North Plymouth Terrace are located on the eastern edge of the Cascade District in Downtown Rochester, NY on the corner of Main Street and Plymouth Avenue North. 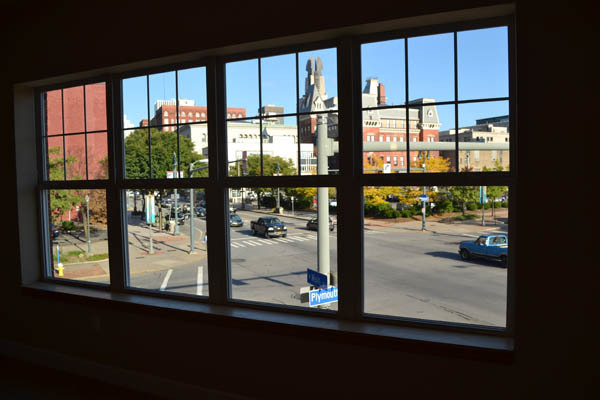 Across the street is the world famous Hochstein School of Music and Dance and within walking distance of other art and live theater, Frontier Field, night life, and all of Rochester's Downtown Festivals. These luxury Loft-style apartments take in views of the local skyline with plenty of natural sunlight by the numerous windows in each apartment. For those looking for a care-free lifestyle, The Lofts feature 10 apartments with 5 different layouts to choose from on the second and third floor of 116 Main Street above the United States Post Office. Apartments can be accessed by elevator or stairwell. These large loft-style apartments range from 1016 SQ FT through 1268 SQ FT, some with large den/study and 1.5 baths. 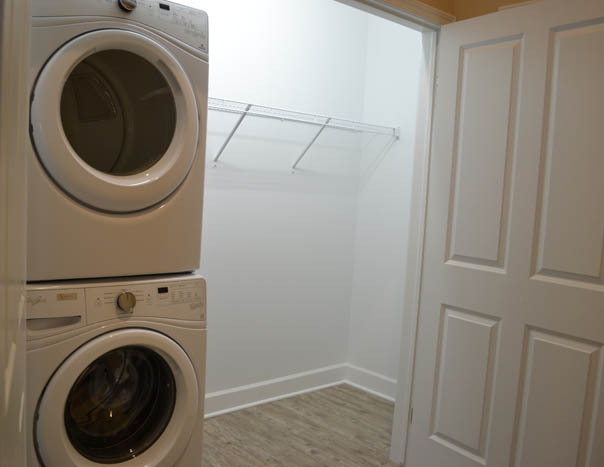 The apartments include all major, stainless appliances with a washer and dryer in each unit, window treatments and private storage for each apartment on the same floor. Covered Parking is convenient and located on the premises. Apartments are designed with high ceilings and exposed duct work but are a bit more luxurious than a typical loft apartment. Wall to wall carpeting combined with wood floors are neutral colored waiting for your personal touches. Floor plans are open and there are no support beams cutting up your living space. Call 585-260-3971 for your tour today.